Chez La Mom. Paris 75016. La Mom, Big Cheese, and Boston Au Pair girl are sipping espresso and snacking on macarons from Ladurée. 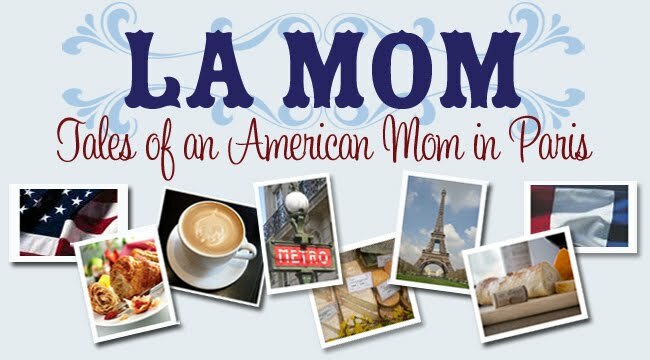 La Mom is hiring an au pair. Boston Au Pair is our third, and final, candidate. She's in Paris studying to be a chef. 1. Why did you choose to be an au pair? 2.What are your child care qualifications? 3. What's the most important aspect of an au pair's job? Then Big Cheese decides it's time to get down to business. You know, time to ask those really important, heavy duty questions that only a French person thinks of. Questions that, depending on one's answer, will make or break the interview. Big Cheese: So what do you bring to the table that's different from the other applicants? 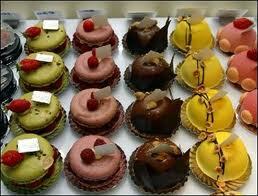 Au Pair: My love of French food and pastries. I would really enjoy teaching the French Fries how to make homemade madeleines, financiers, and canalets for their goûter. Homemade is so much better than the store bought stuff (slight nod in the directions of my macarons). Big Cheese: The French Fries are going to adore baking with you. La Mom can't bake for all the cheese in France. La Mom to self: Merci chéri. Big Cheese: So what signifies a quintessential French meal for you? Au Pair: A steak au poivre, for sure. Big Cheese looks at me and winks. Then he goes in for the kill. Big Cheese: Really? So how do you cook a steak au poivre à la francaise? Au Pair: With crème fraîche. La Mom to self: C'mon Boston Au Pair. Show the snobby Frenchman you know your stuff. Au Pair: And cognac, of course. Big Cheese: And what about dessert? Au Pair: My personal favorite is a moelleux au chocolat. The secret to getting a perfect moelleux is to add three eggs to the flour mix one by one. Never all at once. There's absolutely no reason to hurry when cooking. Oh là là. I think we have a winner. Big Cheese raises his eye brows, let's loose a typical Gallic shoulder shrug, sticks his chin out in that oh-so Parisian way, and says under his breath to moi, "Pas mal!" Wow, Boston Au Pair seems perfect. Wait. Maybe too perfect. If a way to a man's heart is through his stomach, and the way to my children's hearts is with homemade pastries, then La Mom's got some serious competition. Help La Mom. Does Boston Au Pair get the job? Is she a threat? Speaking of French food, check out Lucullus Succulus for delicious easy-to-make recipes and healthy food tips for kids! Lucullus Succulus plus que jamais dans son assiette ! Encore plus pédagogique, toujours aussi gourmand, à découvrir ou redécouvrir, le premier magazine de cuisine pour les enfants. Boston au pair sounds wonderful! I'm Mississippi au pair over in the 75116, and I can only imagine how cool the kids would think I am if I TAUGHT them how to make their own gouter! All I'm bringing to the table here is sweet tea and fried okra. Just kidding (..........but seriously). LOL! La Mom, as usual hilarious! Hmmm, I see your dilemma. I'd see other candidates, Big Cheese seemed pretty impressed by her. Plus, East Coast girls are such know-it-alls! I'd know! Give her the job! She was on the ball, that means she'll be on the ball with the kiddos! Hire her now! Keep your eyes open, plenty of new lingerie, and make sure that Boston Au Pair is well supplied with prospective dates who are unattached. Bon Apetite, you can handle the rest! There are threats everywhere all the time anyway. Careful, the girl might be perfect for your children and your husband but she could be a hazard to your waistline! Mmmm...Laduree macarons. She sounds pretty self-confident to assume that she can make macarons better than Ladurees. Great interview, love it, simply too cool! @ e is for elephant: She sounds too good to be true, right? I bet you can teach your kids to make something Southern. My BFF is from MI too and she's always talking about cakes I've never heard about. @MademoisElla Coquine: I agree with you wrt to Big Cheese. Boston Au Paris definitely has a lot in common with the French - they think they know it all! @Cathryn Hatfield: Big Cheese likes your way of thinking! Lingerie - check! And you're right, threats are everywhere, especially in Paris. @BeadboardUpCountry: That's one way to look at it. Keep your friends close and your enemies closer? @Corrine : You are spot on! I don't need any more extra weight around my mid-section. Two pregnancies have done me in. @ParisPaul: Big Cheese agrees with your answer and loves a male point of view. Thanks for the invite and congrats to you and Karin! SO generous of you both to host a blogger meet-up/wedding reception. @Crystal: On est complètement d'accord. Like I said, she has that in common with the French. @Rosabell: You crack me up! My friend Washington DC Mom follows your advice to the letter. @CasolVillas: Merci for stopping by! So what's the verdict La Mom? I'm dying to know! Au fait, I'm loving everyone's comments! I hope we were able to help...Courage! Ha, she does sound "too" perfect, but no competition dear. Sounds like she'll be too busy in the kitchen to be bothered with anything else (esp if you really have her making those exotic meals!). @Parisian Street Society: She seems extremely capable and no, you have to speak English! @Cindy: I'll keep her busy in the kitchen and the French Fries will keep her busy at the playground! @Vicki:She's a cutie and she knows her way around a kitchen. Interviewing nanny candidates in Paris can be hazardous! Thanks for sharing your funny account. Our story about interviewing a French nanny, "You Say Nou-Nou, I Say No No" is at www.parisdejavu.blogspot.com. Bon weekend! @Ulrike in Dubai: I like how you think!